Restore Plumbing and Drain is not just your average plumbing company. It is your full service plumbing, drain, and water treatment partner! Plumbing is used every single day. All the more reason to ensure yours is working correctly and that you love the water you are using! That is why Restore Plumbing and Drain offers you a variety of services. Our experienced plumbers can help you with any project, large or small. We are not here to sell, we are here to build lasting relationships. 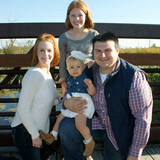 Restore Plumbing and Drain is a family-owned and operated company. We strive on offering great plumbing services and solutions at the highest level of satisfaction possible. We are licensed, bonded and insured. Our employees are fully uniformed and drive marked vehicles as well as background checked. All of our employees receive ongoing training, as we believe there is always room for improvement no matter what your position is in the company. Restore offers written warranties as well as 24-hour emergency services. We offer onsite accurate pricing, so you know the price before you begin the work. Whatever plumbing project you are looking to complete, Restore Plumbing and Drain will help you Love Your Water! 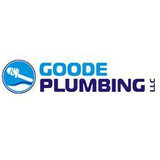 At Goode Plumbing LLC, we are committed to providing the highest quality service in the industry. All of our work is done to a standard that we are consistently raising. Our technicians are polite, educated and complete extensive in-house training. We sell and install only excellent quality parts, products and materials. We don't give you the legally required one year warranty-we give you a MINIMUM two year warranty that covers parts AND labor. We back our workmanship up for life against defects. We don't know of any other plumbing service companies doing that! It was the winter of 2014. The “polar vortex” had settled over Chicago with some of the coldest temperatures ever recorded in the city. VanDerBosch Plumbing responded to over 100 emergency calls that winter to repair frozen or broken pipes. Then there was flooding in 2011 and 2014 and 2015. Again, VanDerBosch was there for longtime clients and new ones clearing drains, repairing lines and installing new sump pumps. And when the weather isn’t so extreme, VanDerBosch is there to help with repair and installation all over Chicago. 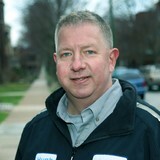 VanDerBosch has been Chicago’s plumber for over 30 years repairing pipes, toilets water heaters and sewer lines. Today, VanDerBosch Plumbing is Chicago’s plumber serving residential and light commercial clients. Condominium managers, owners, board members and HOAs rely on VanDerBosch Plumbing every day. From plumbing services such as clearing drains, repairing pipes and toilets to repairing and replacing water heaters, steam boilers, sewer lines and drains, call VanDerBosch. Whether you live on the south side, Lincoln Park or the north side, VanDerBosch has a professional team ready to respond to an emergency or repair a problem. If you need help with a plumbing repair call VanDerBosch. 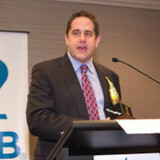 Jordan Johnson, President of Johnson Fine Homes and Construction Inc., is an eagle scout, graduate of Lake Forest College. I am a licensed Illinois plumber working in Lake County and a Septic Installation Contractor. Ravinia Plumbing & Heating customers rely on our team of seasoned professionals for the best in expertise and service. Highly recommended and family owned since 1928, we bring Chicago’s North Shore a team of licensed plumbers, EPA- and NATE-certified heating and cooling technicians, and licensed electricians.. Here is why 95% of our customers recommend us. Knowledgeable: Being in business since 1928, there is little we have not seen in terms of plumbing, heating and cooling, sewers and drains and electrical systems. We complement this experience by staying current on all new products and technologies. Timely: We are here when you need us. We provide 24/7/365 emergency service, and our phone lines are always answered by a live person. Professional: We are licensed state contractors with $6 million in liability insurance. Trustworthy: Our service professionals arrive in lettered vehicles and uniforms, and all employees undergo background checks and random drug testing. Guarantee: 100% money-back guarantee and clear, comprehensive warranties on repairs and new installations. 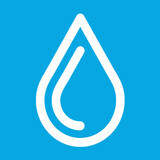 Quality: We are a Carrier-authorized dealer and also offer a full array of faucets, fixtures and appliances. Have questions? Contact us, or stop by our office to speak with an owner or manager. We’re open six days a week and always appreciate a customer visit. When you need a Chicago plumber who can get the job done right the first time, you can count on Chicagoland Plumbing. We offer quality work at better prices than other plumbing services in the city. When you want quality at an affordable price, you can trust our expert plumbers. For over 20 years, we have been repairing the plumbing for the people of Chicago with precision and expertise. We have developed a reputation for offering our quality services at competitive and affordable prices. We utilize GPS devices in our trucks to ensure that our plumbers get to your home or business as quickly as possible. We also use the most advanced tools that are available on the market to make certain that we do the job right the first time. We are certified by the Occupational Safety and Health Administration, MBE, DBE and Cross Connection Assembly Inspections. We speak Spanish and English for your convenience. When you need a Chicago plumber, trust the experts at Chicagoland Quality Plumbing to handle whatever plumbing issue you may have for your home or office. We offer free estimates, so call us today for yours. With over 35 years in the industry, we are in the business of treating you like family. We are family owned and operated, so we know what is truly important. Our service professionals are constantly trained in the latest tools and technology of the trade to ensure we can get the job done right the first time. Professionalism, integrity, honesty and our dedication to taking pride in our workmanship will reflect our work. Call us now! Arrow Plumbing has been serving Libertyville and the surrounding communities since 1996. As a family owned business, we value our customer relationships and have a strong commitment to our customers. Our professional and knowledgeable technicians have years of plumbing experience and trained on new equipment and the latest technology regularly, to ensure professional workmanship. Our apprentices go through a 5 year schooling program, along with on the job work experience. Our licensed plumbers also take part in a continuing education program to keep up with the most current trends, to better serve you. Our office staff are knowledgeable and ready to assist with setting up appointments, helping with estimates or even talking you through an emergency situation until we can get a plumber over. We take pride in producing “home grown” professional plumbers. Background checks are performed on all of our field personnel. All our employees are drug free. We are a full service plumbing company and we expect a lot from our plumbers – and so should you. They take great pride in their work and will leave your job site clean, if not cleaner, than when they arrived. They will explain to you what has happened and answer any question that you may have. They are a friendly group of guys who are willing to do the nastiest of jobs, with a smile. Ex-Stink Plumbing and Sewer Services is owned and operated by Harold Van Crey and family. We have 30 years of experience and have been in business since 1981. We are a full service plumbing company that is licensed, bonded, and insured. We are fully committed to offering our customers honest, reliable, quality service, 24 hours a day, seven days a week. Through dedication to our customers and our commitment to quality, we feel that we can offer you the best service in the industry. We are a family oriented business that cares about our customers. If there is a problem, you can speak directly with the owners, and you will receive 100% satisfaction from us. My Plumber Service & Remodeling, located in Lisle, IL., is proud to be serving the greater Chicago land area. Our team boasts decades of experience in commercial and residential plumbing, we can assist you with all of your plumbing needs. With 24 hour emergency service, fast, friendly, and professional plumbers, My Plumber Service & Remodeling can assure you that we will provide the most exceptional service and highest quality work in the plumbing industry. Call us today! Whether residential or commercial, simple or complex, Ebert Plumbing has the experience to solve your plumbing issue. Here at Ebert Family Sewer & Drain we understand that accidents happen. Please do not hesitate to call for all of your plumbing needs and/or emergencies. We are a family-owned Plumbing and Sewer service, and we've been in business for over 30 years! Since 1949, John R. Gilchrist & Son Plumbing Inc has proudly offered contract repair service for bathroom remodeling and comprehensive plumbing services to the near west suburbs of Chicago. We are able to handle all of your jobs, large or small, in a professional, friendly manner. From clogged drains to backed up toilets to low pressure, we can provide expert, affordable solutions that fit your schedule and your budget. Garrelts Water Treatment Company is located in McHenry, Illinois. Our staff has been providing high quality service and water softening and filtration products to Northeastern Illinois since 1992. Our central location allows us to provide SAME DAY SERVICE, and installation of Water Softeners, Iron Filters, Reverse Osmosis Systems, and Water Coolers. A plumbing contractor handles the installation and repair of water, sewage and natural gas pipes throughout a home, as well as interior and exterior faucets and fixtures. Plumbing contractors are also trained to work with water mains, septic tanks, laundry appliances, water heaters, sump pumps and other plumbing and pipe systems. Because plumbing repair work is done largely behind walls and beneath floors, some plumbing companies can also patch or replace tile, stonework and other surfaces. Although some Westmont plumbers are generalists, others specialize in specific areas; a 24 hour emergency plumber will handle urgent residential repairs, while others may be more skilled in remodeling, natural gas lines, overhead sprinkler systems and more. Find a local Westmont plumber on Houzz. Narrow your search in the Professionals section of the website to plumbing contractors in Westmont, IL. You may also look through photos of Westmont, IL projects to find a licensed plumber who has worked on a project similar to yours. Here are some related professionals and vendors to complement the work of plumbers: General Contractors, Septic Tanks & Systems, Kitchen & Bath Designers, Kitchen & Bath Remodelers.